Horst was 26 at the time; he had grown up his entire life in East Germany, behind the Wall. How does this apply to the Korean situation? After all, we can’t predict the future of Korean relations even a year ahead. Still, the historical precedent of German unification is an oft-used way to move toward a better guess about Korean unification. Though the differences between the two cases are many, and too significant to allow a tenable prediction about Korea to be made, it’s my thought that where a rigorous analysis might fail, a story might offer insight and a new way of understanding. 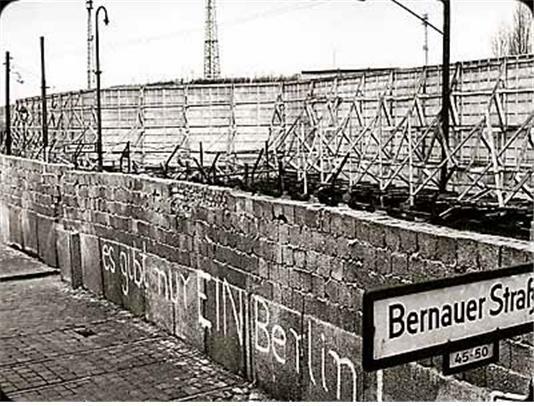 The Berlin Wall went up in 1961. Horst was born in 1963. He spoke in German, but I’ll give the story in English. “I will tell you the real story, the one that you don’t hear on the radio or, you know? I have really lived through this, I have heard it, with my own ears! Also. I can remember, November 9th was a Thursday, and no body knew that anything unusual would happen. And around 17:30 there was a press conference with Günter Schabowski. Krack was the mayor, and Schabowski was the Head Official, or something, I forgot what his title was. But that is not important. So yes, he was at the press conference and he announced that traffic would be opened and the citizens would be able to travel wherever they wanted. A journalist raised his hand and asked, When? Schabowski said . . .
Horst smiled. “Ah, yes, that is what he said, eh? You are right. Yes, he looked at the note and then said,” he adopted a deep serious voice and quoted [Horst is a consummate actor]: “I assume sofort, immediately.” He suddenly switched to an entirely new story. “How I know this, I should tell you, is two years after, I was at a party with Günter Schabowski, and many journalists and politicians. I drank vodka with him, from his Russian wife,” he said, gesturing over his right shoulder to where Russia might be. 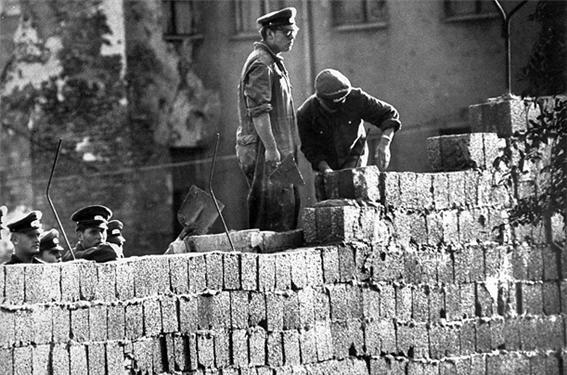 The night of the collapse of the Berlin Wall, and Horst would not believe that it was happening. Who in South or North Korea would believe it if he heard that the DMZ was accepting thru-traffic? It seems so unlikely as to be nearly impossible, but so did the opening of the Berlin Wall to those behind it. The story will be continued in Part 2. This entry was posted in Articles and tagged berlin, cia, communism, dmz, east berlin, germany, horst, Jay, korea, McNair, north korea, pizza, Russia, south korea, vodka, wall, west berlin by MOUonekorea. Bookmark the permalink.